As a graduate of Liberty University I’ve been ashamed to watch the rise and fall of Ergun Caner, who recently lost his position as dean of Liberty Baptist Theological Seminary. Caner received heavy scrutiny over the past year for fabrications he made about his life as an American Muslim and his conversion to Christianity, seemingly for personal gain. I will not rehash the details here, so if you want an overview of the situation you can get a good summary at this site. In the midst of such lies and half-truths it is refreshing to hear about Mosab Hassan Yousef, the author of the NY Times bestseller, “Son of Hamas.” Yousef is the eldest son of a founding member of the terrorist organization Hamas, and even participated in acts of terrorism and torture in his young adulthood. He eventually became a Christian and as a result had to seek political asylum in the US. I haven’t read the book yet, but I have it on my Amazon wish list and look forward to picking it up some day (Tim Challies reviewed the book here). Phil Sumpter linked the following videos on his blog recently, which I found fascinating. Although I have no doubt that Ergun Caner was raised in an Islamic home and converted to Christianity, the embellishments in his own story for self aggrandizement are disappointing to say the least. Yousef’s story, however, is of a different kind. His is a true story of a true terrorists and a loss he suffered for embracing the gospel. The videos below provide a glimpse into his life as a Muslim, struggling to understanding the love of God and how to communicate that to his family. I will put enmity between you and the woman, and between your offspring and hers; They shall strike at your head, and you shall strike at their heel. Notice anything different? I mean, besides the obvious bold and italicized font? At the heart of this problem is whether “offspring” is an individual, referring to a specific child, or whether it is to be taken as a collective singular, referring to many children. The Hebrew term for “offspring/seed” (zera’ – I’ll use the 2 English words interchangeably) is a masculine noun but is somewhat flexible. In Gen. 4:25 it clearly refers to one person (Seth), whereas in Isaiah 41:8 it refers to Israel as a nation. If one takes “offspring” as referring to an individual (as in the Christian tradition), then the following pronouns (in bold) would be “He shall strike…” and “his heel.” If one takes “offspring” as a collective singular then the JPS translation can be substantiated. How do we figure this out? Well, rather than deliberately retrojecting the NT understanding of “seed” into Genesis lets first argue from the text itself. In the OT, “seed” seems to follow both lines of thinking mentioned above. Since the woman’s seed struggles against the Serpent’s seed, we can infer that it has a collective sense. But since only the head of the Serpent is represented as crushed, we can expect an individual to deliver the fatal blow and to be struck uniquely on his heel. Additionally, biblical Hebrew employs a grammatical gender (“he,” “she”) agreeing with its it’s antecedent. In other words, “seed” is a masculine noun and should thus be followed by masculine pronouns – “He shall strike” and “his heel.” But that only eliminates whether or not the phrase should be translated “she”, which is totally out of the question (but used some older Catholic translations!). The real problem is if it should be translated “they” or “he”. The most impressive evidence against “they” is the Greek Seputagint (LXX), our oldest translation of this text (third or second century B.C. ), which translates this phrase with “he” (autos). This is noteworthy given that the Greek antecedent is neuter (sperma), which means that the oldest translation of Genesis deliberately avoided “it” and understood 3:15 as referring to one person (see R.A. Martin, “The Earliest Messianic Interpretation of Genesis 3:15” JBL 84). Who, then, is the seed of the woman? The immediate seed is probably Abel, then Seth (Gen. 4:25 – “God has appointed for me another offspring instead of Abel”). The collective seed is the holy offspring of the patriarchs (Gen. 15:5; 22:17). After Genesis we do not hear again of the promised seed until God promises David a seed (2 Sam. 7:12), which should also be understood in both ways. Moving to the NT, the unique fulfillment of this seed promise, however, is Jesus Christ, who comes into the world through the seed of the woman: the patriarchs and David. Paul refers to the seed of Abraham as the individual Jesus Christ (Gal. 3:16) but then also includes the church in Christ as Abraham’s seed (Rom. 16:20; Gal. 3:29). Conversely, the seed of the Serpent is/are not little snakes, nor demons (since Satan does not father demons), but most likely those who are in rebellion against God. There are the elect, who love God (John 8:31-32), and the reprobate, who love themselves and are of their father, the devil (John 8:44; 1 John 3:8). Each main character in Genesis, then, is portrayed as either the seed of the woman (like Abel and Seth) who carries on God’s promise of Gen. 3:15, or the seed of the Serpent (like Cain) that reproduces the Serpent’s unbelief. In the end, although both individuals will be grievously wounded (“strike” and “crush”), this struggle with the Serpent is ultimately won in the suffering of that Seed (Isa. 53:12; Luke 24:26, 46-47; Rom. 16:20; 2 Cor. 1:5-7; Col. 1:24; 1 Peter 1:11). Therefore, I believe we can agree in part with the JPS translation (and others) of “they shall strike” and “their heel,” but only if they mean a collective seed and are not simply avoiding the singular notion for fear of adopting a Christian worldview (of Jesus!). The better translation would keep the singular intact, “he shall strike” and “his heel,” which suggests a promised offspring that will project a new spiritual race into this fallen world. I usually stay up to date with the ministry of Mars Hill Church and their pastor, Mark Driscoll. Although controversial, I have admired the way in which his ministry has reached Seattle, WA (the most unchurched city in America). Indeed, Mars Hill (not to be confused with Mars Hill of Rob Bell fame) has penetrated the culture with the gospel and thousands have been saved. As Driscoll has said elsewhere, Mars Hill seeks to combine a message that is timeless with a ministry that is timely, and I’m inclined to agree. Aside from pastoring and teaching at conferences Driscoll has written many books, the latest of which is “Death by Love: Letters from the Cross,” published by Crossway as part of Mars Hill’s Re:Lit ministry. After seeing this provocative video I picked up the book this week and read it. I won’t spend much space on this review, but to say that I endorse the book and pray that it has an impact on other Christians. The book is structured as 12 letters to 12 different people, most of which have been held captive by certain sins. All 12 are real people with real situations that Driscoll has counseled throughout his pastoral ministry. After meeting with each person, Driscoll writes them a letter explaining how Jesus’ substitutionary death and resurrection penetrates their individual situation. 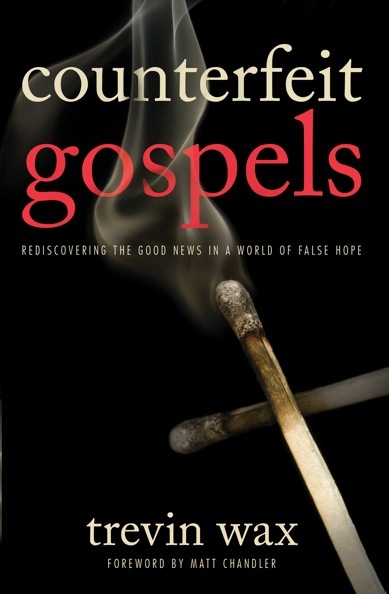 While Driscoll writes the bulk of the book, there is supplemental theological material by Dr. Gerry Breshears (prof. of theology at Western Seminary) at the end of each letter. What this amounts to is solid pastoral insight (Driscoll planted and has pastored Mars Hill for 12 years) with solid theological underpinnings. There is much to be commended about the book, but I don’t encourage everyone to read it. Driscoll is not afraid to rebuke those who are held captive to sin. His language is often vivid and provocative. However, his language is sincere and his writing is filled with Christ. To that end, he takes his job seriously, and his impact for the church at Seattle has been very fruitful. I pray that we all would likewise be devoted to the gospel as Driscoll.